1. 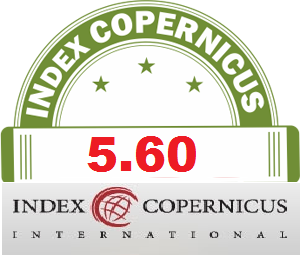 Top Indexing: IJR Journal index all papers in world top indexing like: Google Scholar etc. 2. ISSN: IJR Journals carry ISSN no on each of the published papers. 3. Peer Review Process: The main aim of the peer review process is to maintain the quality of published articles under IJR Journals. 4. Rapid Publication Process: The publication process generally takes only 20-25 days for an article published. 5. Online and Print publication both: IJR Journals publish papers online and print version both. 6. 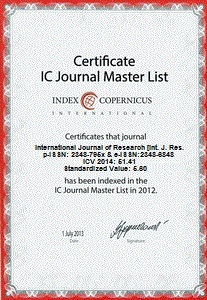 Certificates: IJR Journals provide Certificates of Publication to individual author free of Cost.